I need to print with Gerber Omega 6.5 specific font characters for airplane stickers. For example, These specific font characters are Chinese and Russian. When we make "copy" of text from illsutartor or word and after "paste" in "small text" dialog box Omega, we see the characters appear perfectly. But when we validate, the text doesn't appear anymore. Currently the only solution we have is to vectorize, but I'm going to be able to keep the print quality of the "small text" (TTfont). Do you have a solution for the special caratcères to appear correctly to be printed? Hi. Try setting the small font as Arial Unicode. 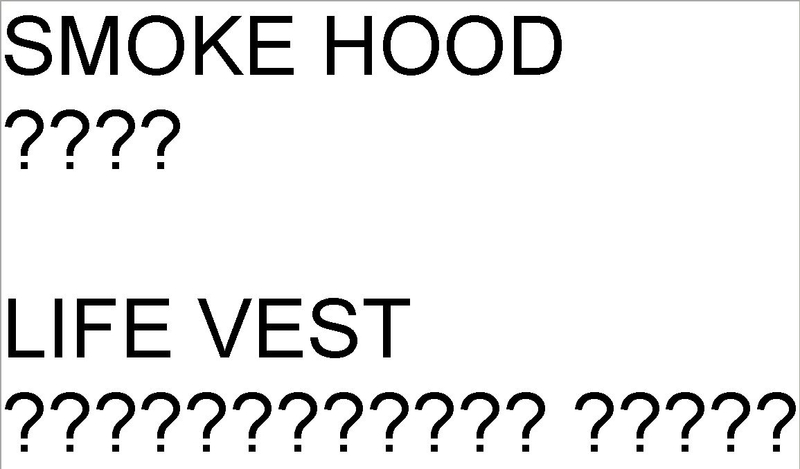 It's possible the Arial font you have selected doesn't contain the pasted characters which is why they show as question marks. 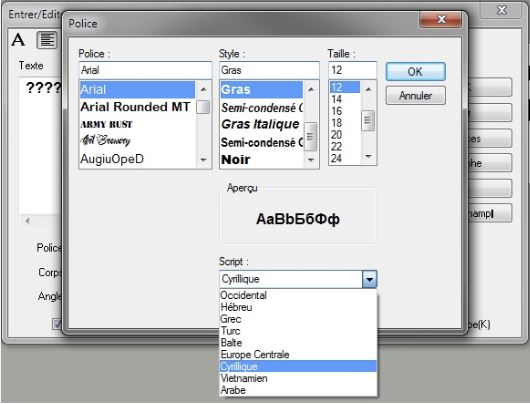 Omega can't see Arial Unicode in small font, it . And I don't think that is the problem. 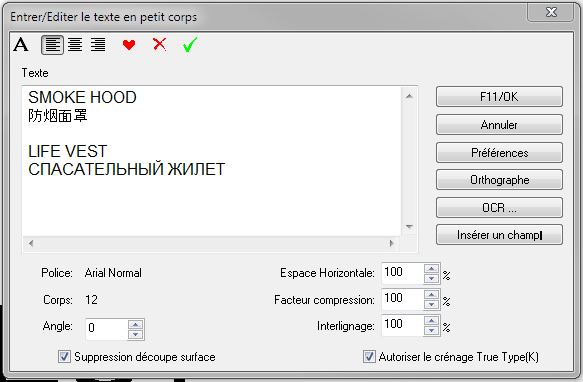 In another example, I used specific cyrilic font for russian text, and smal text doesn't work. 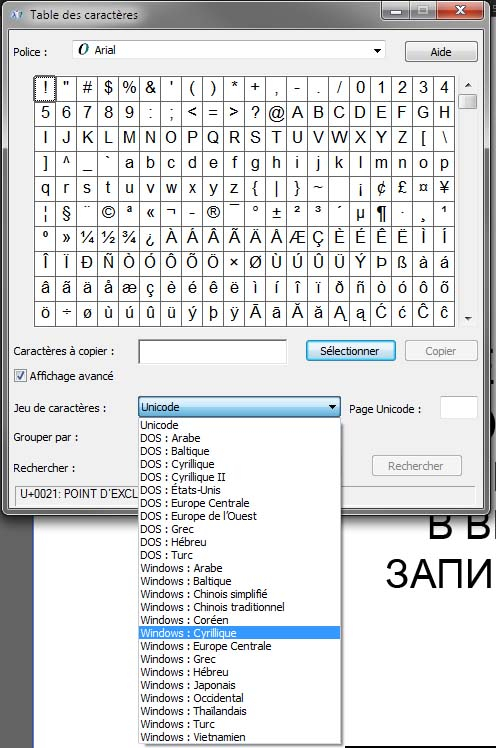 It's like omega can't have access different type than windows characters, and so it can't have access to unicode. And to Illustrator, this font works perfectly. Please, Could you test this file for to find a solution is possible ?